Baby Clothing - B E I B A M B O O / Beibamboo / Parent & Primary Nurse Relationship—Navigating NICU? 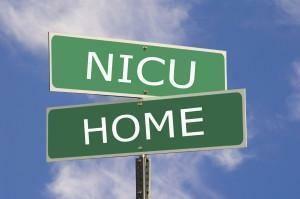 Parent & Primary Nurse Relationship—Navigating NICU? Last week, B E I B A M B O O® kicked-off the 2018 Preemie Awareness Month discussing how parents can ask for a Primary NICU Nurse. Today’s discussion covers easy to remember points on navigating NICU. Now that your baby has a Primary Nurse, navigating NICU just got a whole lot easier. They will ease the stress and anxiety for you by facilitating the lines of communication between you and your baby’s Primary Care Team. Ask Questions. Keep a journal. Jot down questions arising outside of NICU. Be certain to record the responses. Be Involved. When the day arrives to hold your baby for the first-time, it will likely be during Kangaroo Mother Care, the Primary Nurse will be there to assist. Advocate. You are your baby’s greatest advocate! The Primary Nurse advocates for you and your baby’s care. The Primary Nurse, will inform you of the Primary Care Team’s daily rounds. After all, you’re part of your baby’s Care Team too; an active participant in your baby’s healthcare goals, challenges, and milestones. No matter the circumstances for being in NICU, rest assured knowing that navigating NICU is made easier with a battalion of highly-trained passionate caregivers.